Finally ... a healthy Cocoa! Made with 100% natural ingredients, derived from organic farming, gluten-free, lactose-free, of course, without refined sugar. Enjoy the delicious taste of traditional Cocoa powder and Chocolate to your favorite milk or vegetable drink with -75% less sugar than the traditional cocoa drinks. Our granola is a crispy combination of nuts, seeds, cocoa, coconut and quinoa. A healthy alternative and as rich as traditional cereals, made from 100% natural ingredients that have been baked at low temperatures to preserve their nutrients and you can enjoy a breakfast full of vitamins, minerals and lots of energy. Suitable for coeliacs, vegans and paleo. We have managed to make a milled oatmeal with an exceptional flavor without using sweeteners, dyes, or artificial preservatives to improve its flavor. We only use ground oats sweetened naturally with the delicious aroma of vanilla. Ingredients are 100% natural and from organic farming so you can enjoy a natural morning with a real breakfast. Creamy, with an irresistible flavor, made with peanuts ... and only peanuts. This tempting and smooth cream has it all, except additives and added sugar. 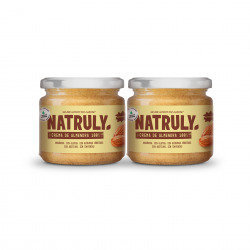 Its nutrients and authentic flavor, make it a healthy alternative for you to enjoy a rich breakfast or snack loaded with protein and natural energy. Our granola is a crispy combination of goji berries, ginger and cinnamon. A healthy alternative and just as rich as traditional cereals, made from 100% natural ingredients that have been baked at low temperatures, to preserve their nutrients and you can enjoy a breakfast full of vitamins, minerals and lots of energy. Suitable for coeliacs, vegans and paleo. Hemos conseguido hacer una avena molida con un sabor excepcional sin tener que recurrir a utilizar endulzantes, colorantes, ni conservantes artificiales para mejorar su sabor. Solo utilizamos avena molida, cacao en polvo y el dulzor del aroma natural de la vainilla. Ingredientes 100% naturales de agricultura ecológica para que disfrutes de una mañana natural con un desayuno de verdad. Our granola is a crispy combination of blueberries, amaranth, cardamom, nuts and seeds. A healthy alternative and as rich as traditional cereals, with 100% natural ingredients baked at low temperatures to preserve their nutrients and enjoy a breakfast full of vitamins, minerals and lots of energy. Suitable for celiac, vegans and paleo..
Our granola is a crispy combination of blueberries, amaranth, cardamom, nuts and seeds. A healthy alternative and just as rich as traditional cereals, with 100% natural ingredients baked at low temperatures to preserve their nutrients so you enjoy a breakfast full of vitamins, minerals and lots of energy. Suitable for celiac, vegans and paleo.. 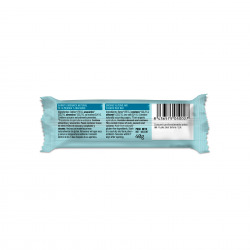 Unlike the other fruit bars you find in the supermarket, that are full of sugar and artificial additives, we have successfully made a snack that tastes delicious. No sugar added, no artificial additives, and gluten free. Only contains apple, sunflower seeds, buckwheat, raisins, cinnamon… nothing more. 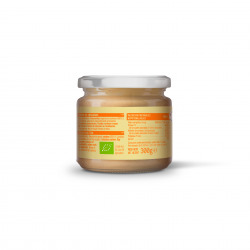 From 100% natural ingredients from organic farming. Pieces of tasty beef marinated with a delicious mix of spices that enhance the incredible flavor in every piece of meat. Delight yourself with this irresistible snack made with the best beef and 100% natural ingredients. 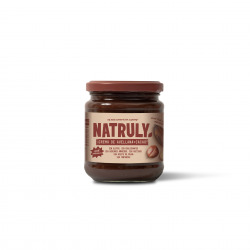 Gluten-free, lactose-free, preservative-free, but packed with natural proteins. An exquisite combination of nuts and vegetables. Our bar is made with ingredients from organic farming, contain no gluten, additives or sugars. Surprise your palate with the special combination of beets, pistachios, dates, cashews and salt. 100% natural ingredients that will fuel you with energy and that will also make you feel good. Pieces of meat marinated with our every day homemade mix, but with an exquisite touch of pepper. The queen of spices integrates perfectly with the other ingredients that season the pieces of meat. 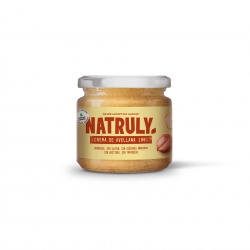 This condiment provides an incredible spicy flavor that invites the palate to enjoy a snack rich in protein, 100% natural, gluten-free, lactose-free and without refined sugar. 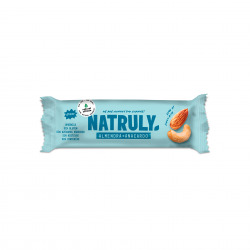 This bar is the perfect combination of almonds and cashews, sweetened with dates and a touch of salt to accentuate its irresistible flavor. 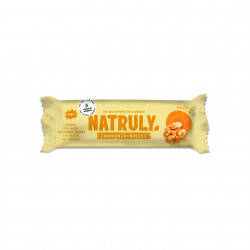 Enjoy a 100% natural bar, made with naturally delicious ingredients from organic farming. Without gluten, lactose, added sugars and, of course, artificial additives. ¡We add chili! Hemos sazonado nuestra tradicional mezcla casera con chilli para que cada trocito de carne te sorprenda aún más. El suave aroma picante del chili que condimenta este delicioso snack hará que tu experiencia sea aún más placentera. Disfruta de una excitante merienda rica en proteína, 100% natural, sin gluten, sin lactosa y sin azúcar refinado. An antioxidant sweetness full of energy, flavor and happiness. 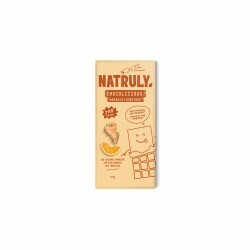 Our natural cacao bar is made with 100% natural and delicious ingredients, all of them from organic farming. Without gluten, without added sugars or sticky syrups that change its flavor. Enjoy this natural delight that combines the exquisite taste of cocoa with nuts. Made with organic ingredients, gluten-free and without added sugar. Our vegan protein is rich in protein (73%), has a magnificent aminogram and excellent nutritional values. We combine the proteins of easy digestion of the pea, rice and hemp, with the sweetness of the beet and the natural aroma of the berries so that you can enjoy a vegetable protein with the best of nature. Made with BIO ingredients, 100% natural, gluten-free, lactose-free and NO added sugar. Our superfood combines the protein of rice and pea with quinoa, cocoa and chia seeds to help you recharge your energy when you are tired. Give your body a boost of energy with this blend of powdered herbal superfoods full of great energetic properties. Made with organic ingredients, gluten free and without added sugar. 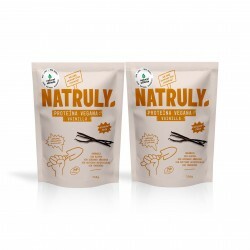 Our vegan protein is naturally rich in protein (70%), has a superb aminogram and excellent nutritional values. 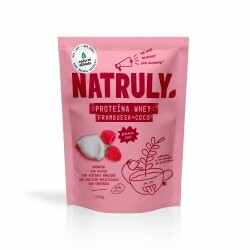 We combine the proteins of easy digestion of pea, rice and hemp, with the delicious flavor of cocoa so that you can enjoy a vegetable protein with the best of nature. Made with milk from cows that graze free more than 320 days in Ireland. Without gluten and without added sugar. Only 100% natural ingredients: Whey isolate, powdered beet, natural coconut and raspberry aroma, and nothing else. Our whey protein isolate is rich in protein (85%), low in fat and carbohydrates to offer you a simple, clean and natural alternative. Libro: "Cambia lo que comes y cambiarás el mundo". Nuestra granola es una combinación crocante de frutos secos, semillas, cacao, coco y quinoa. Una alternativa saludable e igual de rica que los cereales tradicionales, hecha de ingredientes 100% naturales que han sido horneados a bajas temperaturas para preservar sus nutrientes y puedas disfrutar de un desayuno lleno de vitaminas, minerales y mucha energía. Apta para celíacos, veganos y paleo. These general conditions of use and sale (hereinafter the "General Conditions") are intended to regulate any use made of the website www.naturalathlete.es (hereinafter the "Website"). The supplier of the items offered is the company Natural Athlete S.L., with C.I.F. B-86420296, with registered office in Madrid, Calle Núñez de Balboa 9, 4th and registered in the Mercantile Registry of Madrid in Volume 29791, Section 8, Page M-535995, Entry 1 (hereinafter "Natural Athlete"). In order to search for products and see their characteristics, it is not necessary to fulfill any additional requirements in addition to those indicated for each particular case. Notwithstanding the foregoing, in order to make purchases through the Website, it will be necessary to create an account (hereinafter the "Account") that will grant the status of client (hereinafter the "Client") to the user of the Website. To create said Account, click on the link "my account" that appears on the main page of the Website, and follow the instructions indicated for the creation of it (see privacy and data protection). Once the Account is created, the user of the Website will acquire the status of Natural Athlete Client, haveing a username and a password to access the Website. The use of the aforementioned username and password is personal and non-transferable, the transfer, even temporary, of the same, to third parties is not permitted. In this regard, the Client undertakes to make diligent use of them and to keep them protected from the knowledge of third parties, assuming any liability that may arise from their disclosure, and exonerating Natural Athlete from it. In the event that a Client has any type of suspicion in relation to the use of his username and password by a third party, he must proceed immediately to the modification of the password following the procedures established for it on the Website. With the simple access to the Web Site, you are considered "User" of the same and accept these General Conditions, being obliged to comply with what is established herein. Likewise, it is hereby informed that Cross Nutrition reserves the right to modify the presentation and configuration of the Website, as well as these General Conditions at any time, for which reason it is recommended that it be read prior to each use of the Website. 3. CORRECT USE OF WEBSITE. Use the Website in a manner, for purposes or effects contrary to law, morals, good customs and public order. Reproduce or copy, distribute, allow public access through any means of communication, transform or modify the content of the Website, unless it is legally permitted or with the prior authorization of the owner of the rights in question they are affected. Carry out any act that consists of a violation of the intellectual or industrial property rights belonging to Natural Athlete or to third parties. Use either the Website and/or the information obtained through it to advertise or trade for direct sales or with any other kind of purpose whether commercial or not. Users will be liable for damages of any kind, caused both to Natural Athlete and to any third party, due to the breach of the aforementioned obligations as well as for any other included in the General Conditions or in the legislation in force that is applicable in the matter. Natural Athlete shall at all times ensure compliance with the legal system in force, being entitled both to interrupt the services provided through the Website and to order the deletion of an Account in the event that it becomes aware of the alleged commission of crimes or offenses typified in the Penal Code. Likewise, Natural Athlete is entitled to take any other action in relation to the conduct that in its opinion is contrary to these General Conditions, the Law, morality, public order, the rules established by Natural Athlete and/or its collaborators or may disturb the proper functioning, image, credibility and/or prestige of Natural Athlete and/or its collaborators. It is forbidden the use for commercial purposes, as well as the distribution, modification or alteration of the content of the Website (texts, graphics, photographs, logos, icons, images) as well as graphic design, source code and software, whether these are exclusive property of Natural Athlete, as legitimate owner thereof, or are owned by third parties over which Natural Athlete has other rights or license of use, product of a contractual relationship with its legitimate owners. Any communication sent to Natural Athlete by any of the means established herein, may be used by Natural Athlete, who may reproduce, distribute, publicly disseminate, transform, and exercise any other right of exploitation on it. The contractual relationship between Natural Athlete and the Client that will take place through the Website will be considered as a sale purchase electronically and will be regulated by the provisions of these General Conditions and the Spanish regulations applicable to the matter. The object of the contractual relationship between Natural Athlete and the Customer will be the purchase and sale of food supplements offered on the Website. The characteristics of the products offered are those that appear on this web page and are obtained by clicking on the icon corresponding to each article, always corresponding to the characteristics outlined by the manufacturer. The prices of the articles appear in euros and do not include VAT. The shipping costs are not included and are to be paid by the Customer. These expenses are those indicated on the Website. In the invoice the postage will be detailed. By card: Visa, MasterCard, American Express and Aurora. Payment by card, which may not exceed 500 € and will not accrue additional expenses. The amount to be paid by this means will be retained in the Client's account once he / she confirms the order and charged to the same account on the date of shipment. Payments by transfer do not entail any additional cost. In this case, after making the transfer, the Client must send a copy of the bank receipt by email to the email address pedidos@naturalathlete.es to confirm the realization of the same. In the payments by bank transfer, the delivery period will not begin until the confirmation of the transfer has taken place. Cash on delivery: This form of payment does not entail any additional cost. The maximum amount of the accepted order for this form of payment is 300€. Paypal: This form of payment does not entail any additional cost for the customer and will be made through the account of the customer's Paypal service. Sequra: the deferred payment is made through the company Sequra and conforms to the terms and conditions previously established by Sequra. For your safety Natural Athlete has entrusted the credit card payment system to a payment gateway provided by Redsys as well as one provided by Paypal. After completing the purchase process, Natural Athlete will send an email to the email address provided by the Client confirming receipt of the order. Natural Athlete reserves the right to reject any order in the event that the requested product (s) is not available, in which case, the product (s) will be recorded by email if available / s. The delivery of the products will be made by a transport agency or postal mail. Natural Athlete will send the requested products according to the information provided in the order form, and will not assume any responsibility if the delivery cannot be made as a result of the data being provided being inaccurate or incomplete. Likewise, it does not assume responsibility when the delivery cannot be made due to the absence of the recipient. The costs of the failed shipment and its subsequent return shall be assumed by the Customer. Orders will be shipped within 24 hours on Monday through Friday. This term will begin to be counted at the time of placing the order if it is before 2:00 pm or the next day if it is after that time. Saturdays, Sundays or holidays will not be taken into account for these purposes. In the event that the Client chooses to pay by bank transfer, the term will begin to be computed from the moment the transfer is confirmed. Natural Athlete is not responsible if the indicated period cannot be fulfilled for reasons attributable to Correos or the transport agency. In the event that at the moment that the Customer receives the package of the order, it shows visible signs of deterioration or has been opened, the Client must check its contents before signing for it. If the order is damaged or incomplete, the Customer must return the package and send an email to Natural Athlete to pedidos@naturalathlete.es, in order to make a new shipment. The prices and conditions stated on the Website are valid at all times, and are valid only in the current online session. The information entered by the Client at the time of making the purchase on the Natural Athlete Website, will be stored by Cross Nutrition for the processing of the shipment of the order. The Client will not have access to the information entered once the purchase form has been sent, so in the case you wish to modify any information referring to a particular order you must request it in writing to the email address info@ naturalathlete.bio. The payment of the order made must be made by any of the means indicated in the general condition payment method. Failure to pay in advance in the account number indicated when the payment has been made by bank transfer, as well as the fraudulent use of the credit card or the denial of the collection operation, will entitle Natural Athlete not to process or deliver the order, without prejudice to demand compensation for damages and losses. 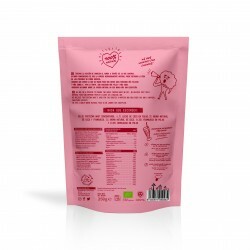 Likewise, the Customer may return the purchased goods within fourteen days from the date of receipt of the product communicating it to the offices of Natural Athlete by email to the address pedidos@naturalathlete.es or by calling Customer Service at 915 758 360. With the shipment of the products, Natural Athlete will send the Customer a return form for the merchandise. The Client must fill out the form and attach it to the merchandise he intends to return. This right may be exercised on one, several, or all of the items received. In the event that the Customer decides to cancel the order once it is in transport, he/she will be reimbursed the amount of the products less shipping costs. In order to exercise this right, he/she is obligated to the fact that the articles on which it is exercised and its packaging are in perfect condition (the sealed or protective plastic must be intact) and that its return is accompanied by documents proving the transaction, or copy. The Customer must bear the return costs and send them properly protected for transport, being responsible for any damage that the product may suffer during transport to the facilities of Natural Athlete. The guarantees of the products are those established by the manufacturers, being them in any case who will be responsible for the possible failures or defects of the products supplied, as well as the possible consequences of the same. The Client is bound by the terms and conditions specified in the guarantees of the manufacturers of the products that are the object of the purchase through Natural Athlete. The guarantee applies as long as the product is used under the normal conditions of use determined by the manufacturers. Natural Athlete is not obliged to indemnify the user or third parties for the consequences of the use of the product, whether direct or indirect damages, accidents suffered by people, damage to property outside the product, loss of profit or loss of profits. Natural Athlete will not respond under any circumstances to possible failures or defects that the products provided may have. As well as it will not respond of the adverse effects that these may have on the health of the person who consumes or uses them, whether they are consumed or used according to the instructions contained therein or in any other way. It will be the manufacturer himself who, with his guarantee, will be liable for possible damage to the product or for said defects. The products are out of warranty for the following reasons: If they have suffered, once delivered to the Customer, any deterioration due to external events, accidents, not following the instructions or storage thereof without the corresponding care provided in the instructions of each product. If none of the supporting documents of the transaction, or a copy, is presented. In this case, the general conditions imposed by a manufacturer for the product will be indicated. These general conditions are ruled by Spanish Law. The parties submit, at their choice, for the resolution of conflicts and renouncing any other jurisdiction, to the courts and tribunals of the user's domicile when he is in Spain. These General Conditions shall be governed and interpreted in accordance with Spanish legislation in matters not expressly established. In the case of users residing outside Spanish territory, the parties, expressly waiving any other forum that may correspond to them, will be subject to the jurisdiction and competence of the courts of the city of Madrid for the resolution of any question that may arise. arise in relation to them. Debes aceptar los términos y condiciones.